The Summer Set Photos, News, and Videos | Just Jared Jr.
We know that it’s a bit late in this year’s Cyber Monday hours — but we had to let you all know that The Summer Set and Alex & Sierra are getting rid of all their merch and you need to scoop it up right now! Both bands announced their breaks recently, so whatever they are selling today is actually their last pieces of merchandise they have. “It may be cyber Monday, but you can #TBT with us and grab some of the last bit of merch we have! The sweaties are so comfy,” Alex and Sierra wrote on their Instagram. Their online store is offering 50% off all items and it will go until Friday, December 1st. The Summer Set are giving their fans 20% off orders of $30 or more, with the code Extra20. Check out their online store here. 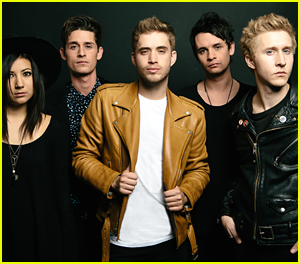 Terrible news, The Summer Set fans: the band has officially broken up. In a lengthy note posted to Twitter today (October 17), the band explains their decision and thanks fans for their support over the years. They then reveal that Brian Dales will be pursuing a solo career. Even though the band is taking an indefinite hiatus, they are so grateful for the journey. 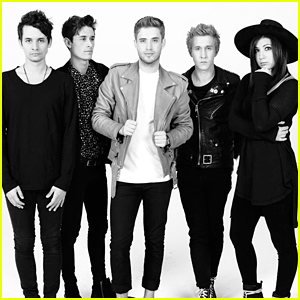 The Summer Set Debuts 'Missing You' Acoustic Video - Watch Now! Can we talk about just how good The Summer Set is? 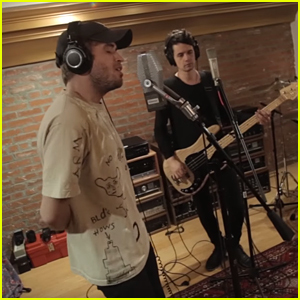 The band — Brian Dales, Jess Bowen, Stephen Gomez, John Gomez, and Josh Montgomery — sent the vid exclusively to JustJaredJr.com ahead of their new Made For You tour. 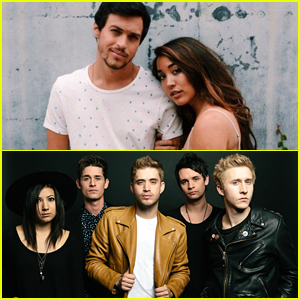 For The Made For You Tour, which will also feature William Beckett and Hudson Thames, The Summer Set have actually enlisted the help of their fans to pick the routing of the tour and also the set list. The track is featured on their latest album, Stories For Monday. The Summer Set are just nine days away from dropping their new album, Stories For Monday. The band — Brian Dales, Jess Bowen, Stephen Gomez, John Gomez, and Josh Montgomery — are getting fans hyped up for the new record by teasing lyrics to songs. 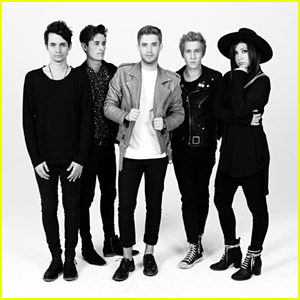 So far, The Summer Set have shared lyrics to “Jean Jacket“, “Change Your Mind”, “All My Friends”, “The Night Is Young”, “All Downhill From Here” and “You Are Here”. See them all below! Stories For Monday is available for pre-order now and will drop on April 1st, before the band hits the road on tour. The Summer Set Drops 'Jean Jacket' - Full Audio & Lyrics! 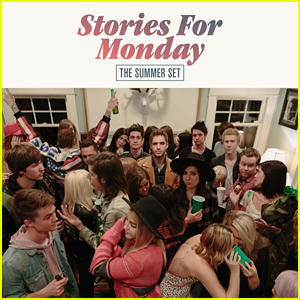 The Summer Set have blessed us with another fantastic song from their upcoming album, Stories From Monday. The band — John Gomez, Brian Dales, Jess Bowen, Stephen Gomez, and Josh Montgomery — debuted “Jean Jacket” to select fans in Chicago, Los Angeles and Philadelphia before unveiling it online. “‘Jean Jacket’ comes out tomorrow night at Midnight. This is my favorite song. I’m ecstatic. Been waiting forever for this,” Brian shared on Twitter ahead of the song’s debut. Listen below and get Stories For Monday on April 1st!